Nearly half (46 percent) of today’s potential home buyers fear they won’t qualify for a home mortgage; as a result, they don’t try, according to a national consumer survey conducted by OmniTel on behalf of loanDepot. The survey results suggest that many Americans may have a pent-up demand for homeownership, but they’re not acting on it because they think it’s not worth the effort. • One in five (20 percent) who already own a home would like to buy another home in the next two years – either a primary residence, investment home, retirement home or vacation home. • While 71 percent of all Americans who want to buy a home in the next two years will need financing, 89 percent haven’t taken steps to see if they’d qualify. Most potential buyers overestimate the difficulty of qualifying for a mortgage. Only 18 percent of all Americans believe it’s easier to get a mortgage today compared to a year ago – 43 percent incorrectly say it’s harder. 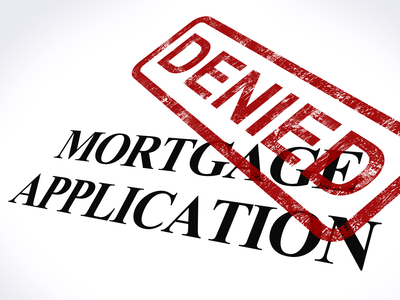 The February 2014 Ellie Mae Origination Insight Report found today’s average mortgage application approval rate is 55.3 percent compared to 49 percent in 2012.
Credit scores also remain a mystery to most Americans. Half (50 percent) don’t know what minimum FICO score is required to qualify for most loans, while 18 percent think they need a minimum FICO score of 680 to 770+ to qualify. About 33 percent of all closed loans in Feb 2014 had an average FICO score of less than 700. Many potential buyers overestimate the impact their debt compared to income (DTI) has on their ability to qualify for a mortgage. Of those potential buyers who aren’t even trying, almost a third (34 percent) say their DTI is too high; meanwhile, another 24 percent say their DTI is too low. According to the survey, mortgage-qualifying fear keeps a greater number of younger buyers on the sidelines compared to other age groups. Half (48 percent) of all potential homebuyers who don’t own a home today are ages 25 to 34; the median age is 31. The market share of first-time buyers has declined from 54 percent of all sales in March 2009 to 28 percent in February 2014. The survey was conducted by OmniTel based on interviews conducted March 21-23, 2014. The OmniTel study consists of 1,005 completed interviews, made up of male and female adults (in approximately equal number), all 18 years of age and over. The margin of error on weighted data is +/- 3 percentage points and higher for subgroups.